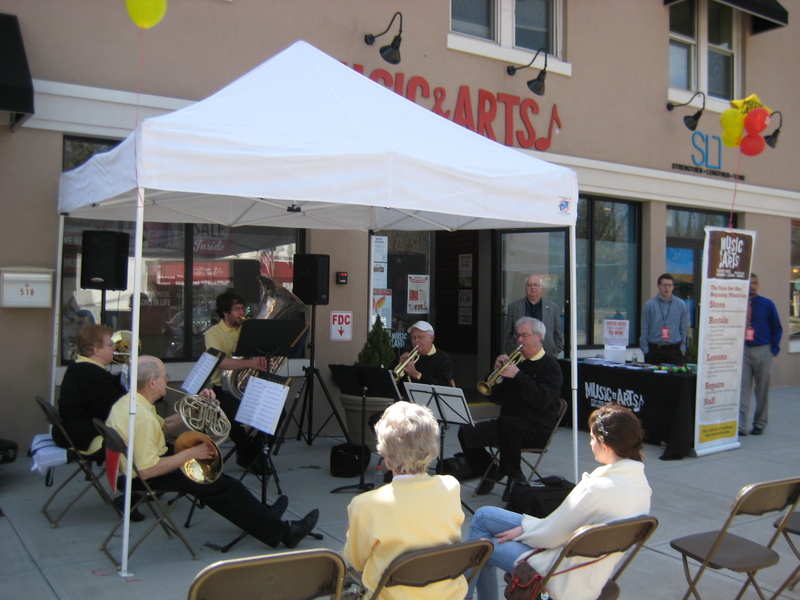 Giralda Tract Grand Opening on 6/6/15. 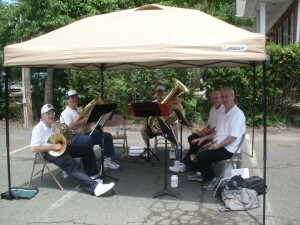 LISTEN TO THE CCB BRASS ENSEMBLE! 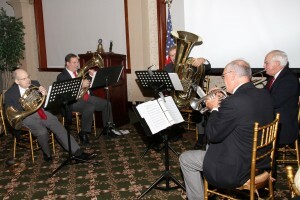 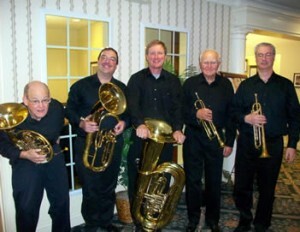 The Chatham Brass, a.k.a “CCB-Brass”, is an ensemble comprised of usually five Chatham Community Band members. 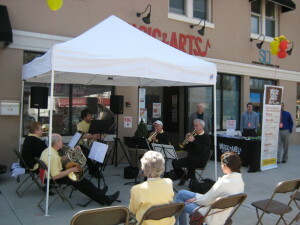 It was formed in 2004 to provide an intimate musical entertainment experience. Many of the performances have been at area nursing homes, Runnells Hospital and have included seniors groups in Millburn-Short Hills, Washington Twp., Basking Ridge and W. Orange. 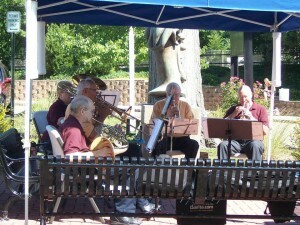 The ‘brass’ has participated in church services in Chatham Borough, Green Village and Little Falls and at the Stickley Museum at Craftsman Farms’ Family Day in Parsippany-Troy Hills in July ‘08. Recent Chatham Borough performances have included a family concert at the Library of the Chathams in March, Fishawack and four programs at the Chatham Borough Farmers’ Market. 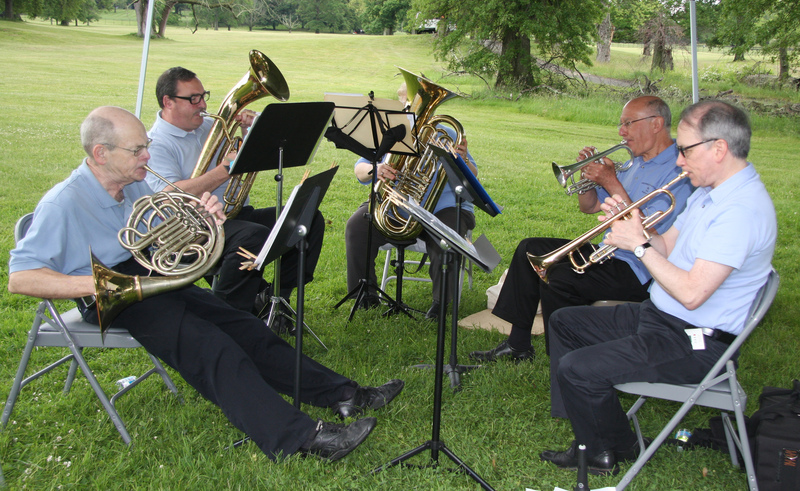 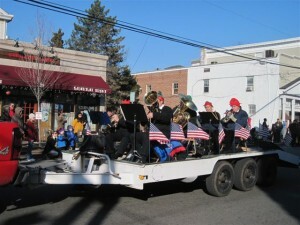 The Chatham Brass’ growing repertoire includes music for the holiday season, lots of ragtime and marches, popular standards, Broadway tunes, polkas, oom-pah music and classical works.